The Tánaiste and Minister for Justice and Equality is conducting a review of the operation of the Defamation Act 2009 (also here). No doubt the focus of media submissions will be the level of damages, and exhibit A in those submissions will unquestionably be the decision of the Supreme Court in Leech v Independent Newspapers  IESC 79 (19 December 2014). A report published today by the International Press Institute provides an excellent statement of the argument. In this post, I want to summarize and respond to some of the issues in the Report, and make three practical suggestions for reform of the law of defamation relating to damages. How much is a good name worth? If you happen to live in Ireland, the answer is millions – and gaining in value rapidly. 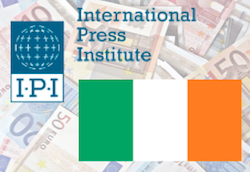 … In a controversial ruling in December 2014, the Supreme Court surprised legal observers by awarding €1.25 million to a communications consultant, Monica Leech, … While unexpected, the Leech ruling nevertheless fits a pattern of runaway libel awards that increasingly dwarf those found in other EU countries and that Irish lawyers and journalists interviewed by the International Press Institute (IPI) say pose a serious threat to press freedom and investigative journalism. Critics of Ireland’s libel regime frequently point out that damage levels now far outstrip those in the UK. In England and Wales, the well-regarded Defamation Act 2013 established a “serious harm” principle to prevent frivolous claims from reaching court and abolished the presumption of a jury trial, steps considered to minimise the risk of excessive compensation. I’m not convinced by this reliance on Leech. It is a high award, and it has plainly spooked the media – but it was made on the basis of the common law predating the 2009 Act, and it simply cannot provide a foundation for the argument that the 2009 Act isn’t working to reduce damages. Section 31(1) of that Act (also here) provides, for the first time in defamation cases, that the parties may make submissions to the court in relation to damages; and section 31(2) requires that, in a High Court action before a jury, the judge must give directions to the jury in relation to damages. The intention here is that a properly-directed jury should be less likely to base damages awards on American TV shows or international telephone numbers. Since Leech is not based on this section, it cannot sustain the argument that the section isn’t working. In my view, harping on about the size of the award in Leech has the capacity to undermine the case for reform of damages awards. Until there is a judgment under the 2009 Act equivalent to Leech, the focus should be on issues that really need reform. It may be, for example, that the changes in practice and procedure effected by section 31 are insufficient, and that further reform is therefore necessary. If so, that case must be made in its own terms. But Leech provides no support for it. Neither, for all that it is comprehensive and very well-written, does today’s IPI Report. I entirely agree with the Report that pre-Act damages awards are unsustainably high, out of all balance with awards in the UK, to say nothing of the rest of Europe. But that is what the new procedures in section 31 of the 2009 Act are designed to address. And until we have cases in which those procedures have been relied upon, there is simply no evidence that those procedures are wanting or that damages awards under the Act are too high. shall not be tried with a jury, unless the court in its discretion directs it to be tried with a jury. (b) the trial will not require any prolonged examination of documents or accounts or any scientific or local investigation which cannot conveniently be made with a jury. (3) Nothing this section shall affect the power of the court to order that different questions of fact arising in any action be tried by different modes of trial; and where any such order is made, subsection (1) shall have effect only as respects questions relating to any such action, claim, question or issue as is mentioned in that subsection. (4) In this section, “court” means the judge of the High Court hearing the action, claim, question or issue mentioned in subsection (1). (5) This section does not apply in relation to the trial of any action, claim, question or issue mentioned in subsection (1), if the trial thereof began before the commencement of this Act; but this section does apply in relation to the retrial of any such action, claim, question or issue, if the retrial begins after such commencement. (8) In this section “court” means, in relation to a defamation action brought in the High Court, the jury, if the High Court, pursuant to section 1 of the Defamation Act 2017, is sitting with a jury. “(j) the levels of general damages awarded in claims for personal injuries”. (1) The total of any amounts of damages awarded in a defamation action in the High Court shall not exceed five hundred thousand euros. should, having regard to changes in the value of money generally in the State since the monetary amount was so specified, be varied, the Minister may by order specify an amount that the Minister considers is appropriate, and in such case subsection (1) shall, in relation to any cause of action that accrues while the order is in effect, have effect as if the amount specified in the order were set out in that paragraph. (3) Every order made under subsection (2) shall be laid before each House of the Oireachtas as soon as practicable after it is made and, if a resolution annulling the order is passed by either House within the next 21 days on which that House has sat after the order is laid before it, the order shall be annulled accordingly, but without prejudice to any cause of action that accrued while the order was in effect. (b) “Minister” means the Minister for Justice and Equality. This would come into line with the approach to defamation damages in England and Wales. In Cairns v Modi  1 WLR 1015,  EWCA Civ 1382 , the Court of Appeal said that it “has now become conventional also to recognise in effect a ‘ceiling’ figure, allowing periodically for inflation, corresponding to the current maximum level of damages for pain and suffering and loss of amenity in personal injury cases”. And in Rai v Bholowasia  EWHC 382 (QB) (16 February 2015)  HHJ Parkes QC held that the “conventional ceiling for libel damages is now of the order of £300,000”. However, there has been no award approaching this level since the coming into force of the 2013 Act. The highest has been the £185,000 awarded in Shakil-Ur-Rahman v ARY Network Ltd  EWHC 3110 (QB) (02 December 2016), which Eady J described as “towards the top of the bracket for general compensatory damages” (). Even if the approach in the section proposed here would align with England and Wales, the levels of damages would still be higher in Ireland. £300,000 is about €350,000, and £185,000 is about €215,000; so a top-line figure of €500,000 in Ireland, which is about £430,000, would be almost 50% higher than £300,000 and considerably more than double £185,000. Nevertheless, the section proposed here would bring defamation damages into line with the levels of damages for pain and suffering and loss of amenity in personal injury cases at Irish law, where the current ceiling is about €450,000 (see Nolan v Wirenski  IECA 56 (25 February 2016) - (Irvine J; Ryan P and Peart J concurring); Shannon v O’Sullivan  IECA 93 (18 March 2016) - (Irvine J; Ryan P and Peart J concurring); Cronin v Stevenson  IECA 186 (22 June 2016)  (Irvine J; Hogan and Mahon JJ concurring)). It would return defamation damages to their former levels: the highest amount previously upheld by the Supreme Court (and the European Court of Human Rights) was a 1997 jury award of Ir£300,000 (see de Rossa v Independent Newspapers  4 IR 432,  IESC 63 (30 July 1999); Independent News and Media v Ireland 55120/00 (2006) 42 EHRR 46,  ECHR 402 (16 June 2005)) – allowing for inflation, this would now be about €550,000. And it would be far less than the €1.25 million in damages which the Supreme Court awarded in Leech. There is every good reason to suggest that Irish law should follow the English and Welsh approach in this regard, and to hope that this will be one of the outcomes of the review of the 2009 Act currently being conducted by the Department of Justice. Fingers crossed.